Visit to one of the oldest coffee plantations in Guatemala. Time to have an amazing adventure. In the afternoon you will have the opportunity to discover how coffee is made. Our guide will show the whole process since the beans are picked up in the plantation until it is served as one of the best coffees in the world. This will be a very interesting experience that will teach you all the hard work that takes to make a cup of coffee and the people who are involved. Visit to the most important and significant attractions of the city including Antigua’s most beautiful churches, monasteries, convents, and the cultural center. When finished transfer back to your hotel in Antigua. 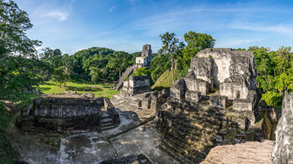 Please call us at: +502- 2410-8260 and provide us the following reference name:" Guatemala Family Tours ", or you can fill out the form below and we’ll get back to you whithin 24 hours.